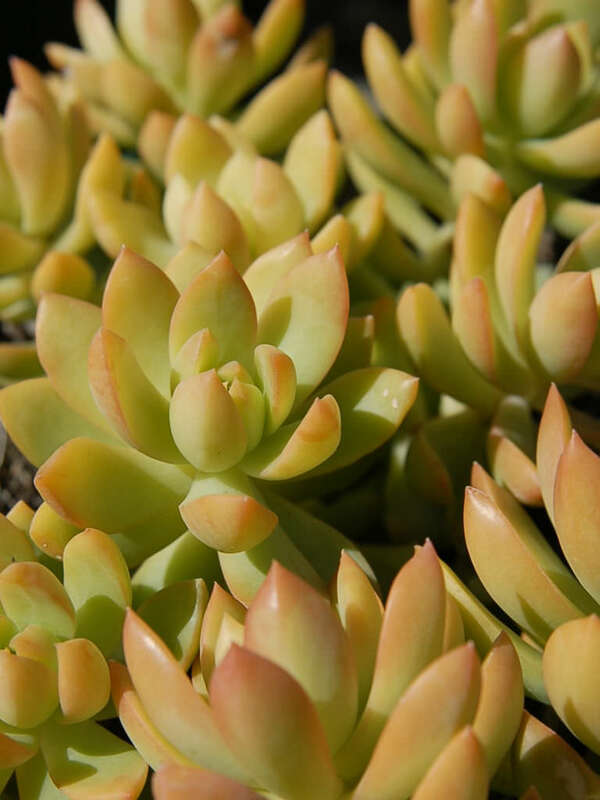 Sedum adolphii is a lovely high colored tender succulent up to 8 inches (20 cm) tall. It is a rangy creeper, developing casual rosettes of football shaped, yellow-green leaves up to 1.4 inches (3.5 cm) long. Only when grown in the sun do they take on the orange-red highlights that make it a visual delight. As rosettes age they produce new leaves at the center, shedding the oldest that drop off and root where conditions are right. 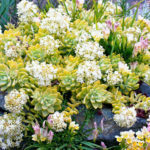 It blooms in spring with small, cream colored flower heads produced at the tips. Choose a location with full sun to filtered shade. 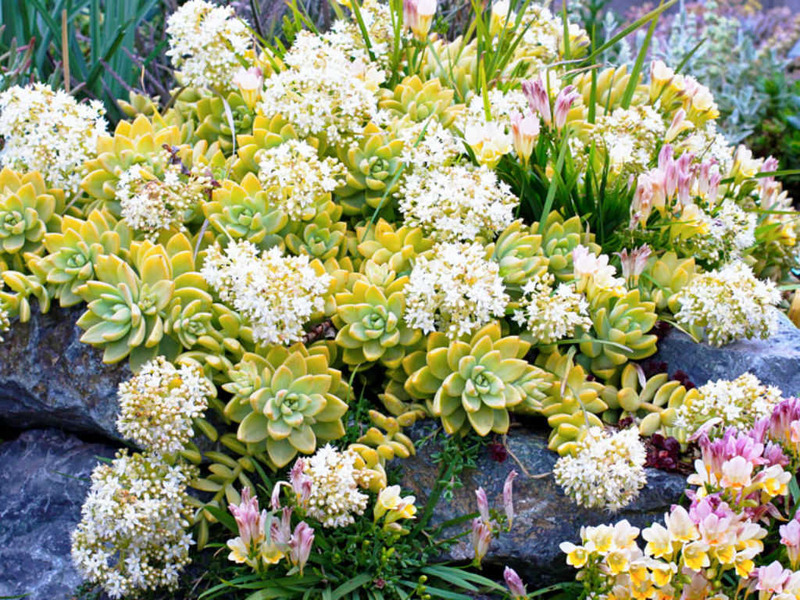 Golden Sedums is an ideal plant for rock gardens because it spreads quickly with a trailing, low form. At maturity, it stand up to 10 inches (25 cm) tall and spread up to 2 feet (60 cm). 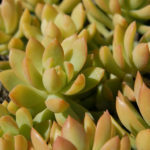 Golden Sedum can also be used in mixed container gardens or even on walls or terraces. 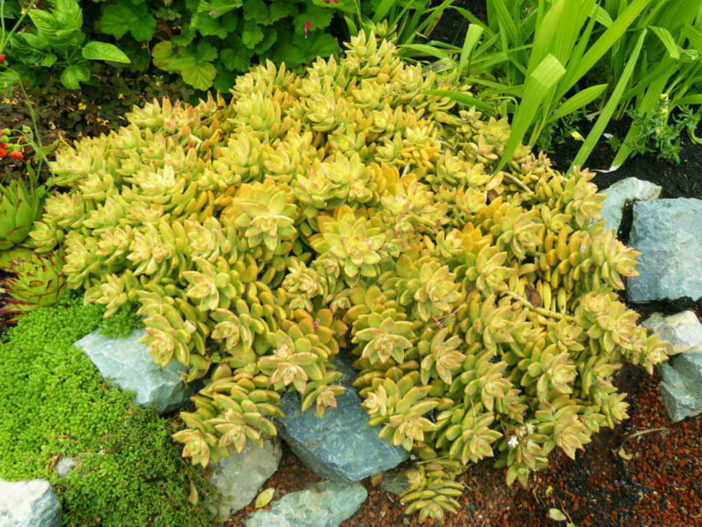 Golden Sedum tolerates most soils but thrive in light, slightly sandy, well-draining soils. In soggy, water-logged soils, the roots rot and the plants suffer disease and pest problems. 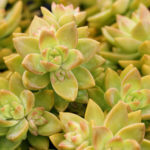 Plant Golden Sedum 2 feet (60 cm) apart. 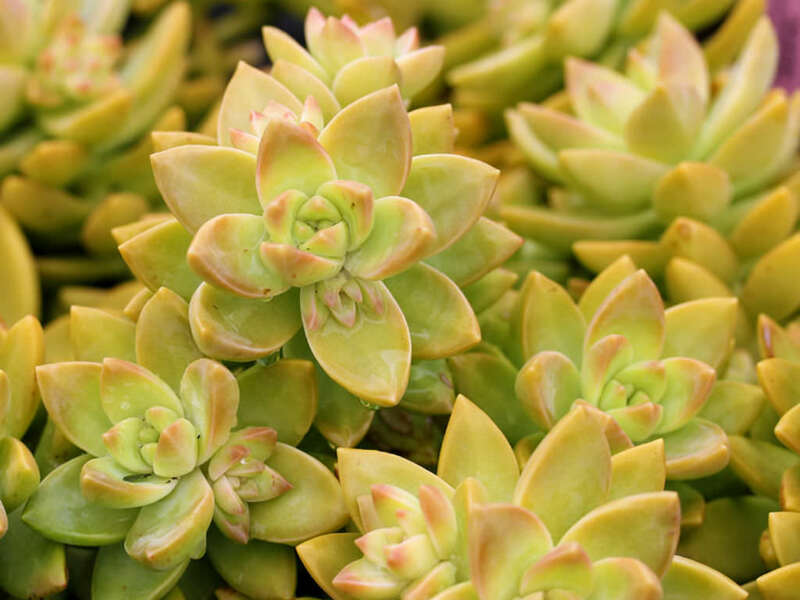 Combine this Sedum with other succulents or low-growing, drought-tolerant ground covers.